A long time ago when I first started wearing makeup I had no idea what bronzer was. I thought it was similar to a self tanner but I was wrong obviously. Flash forward, I'm now obsessed with bronzing my face. I don't think I could go without it. 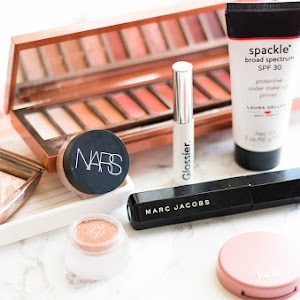 I could go without wearing blush, highlight....maybe, but bronzer? Never! 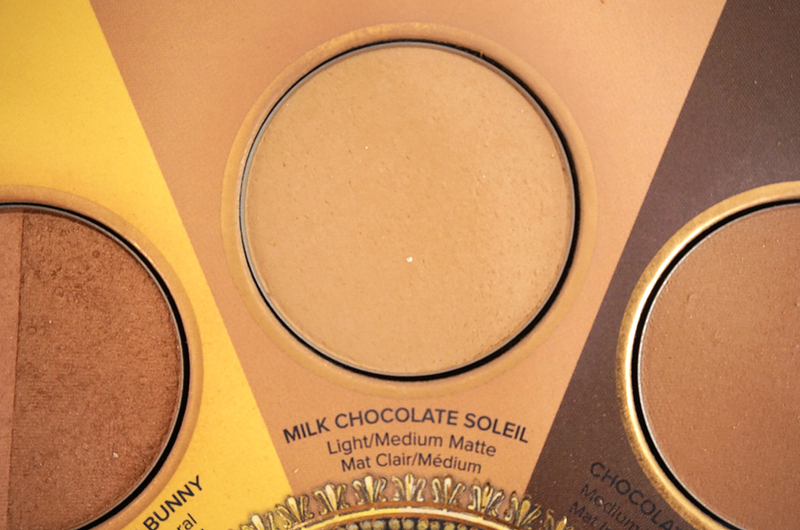 The first bronzer I fell in love with was the Too Faced Chocolate Soleil bronzer. I have this bronzer in a full size and in this Too Faced Little Black Book of Bronzers palette as well. 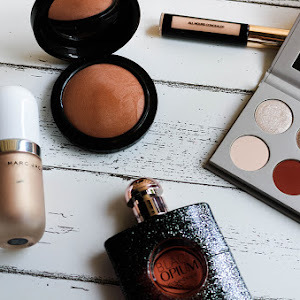 I think this one is the most popular bronzer at the moment and I understand why. I like how it isn't too warm toned and at the same time it isn't really cool toned. It's not exactly a contour shade but I think that it's possible to achieve a contoured look with this. 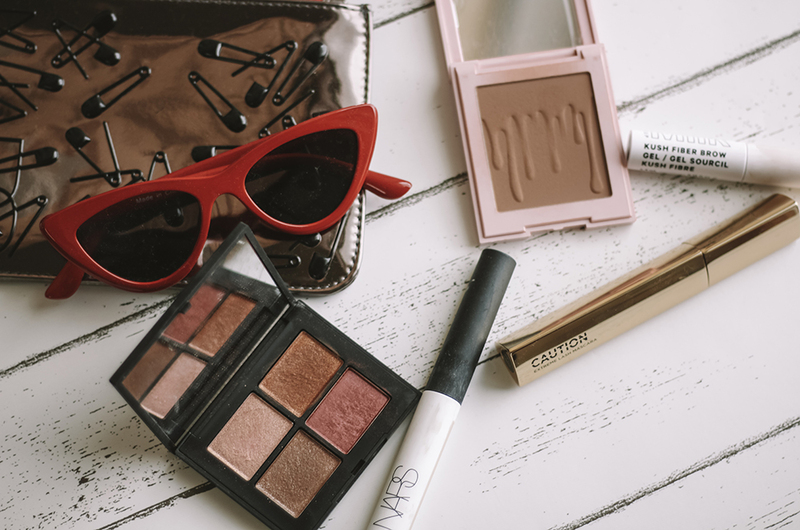 Usually I'll reach for this bronzer when I'm in a rush to get to work or school because I know that I don't need to blend a lot with this and that it won't look like I put some mud on my face. This is the bronzer that I probably should've purchased a full size of. 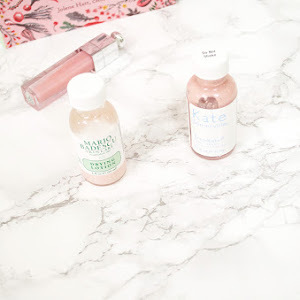 During the winter months my tan fades away so I become really pale. 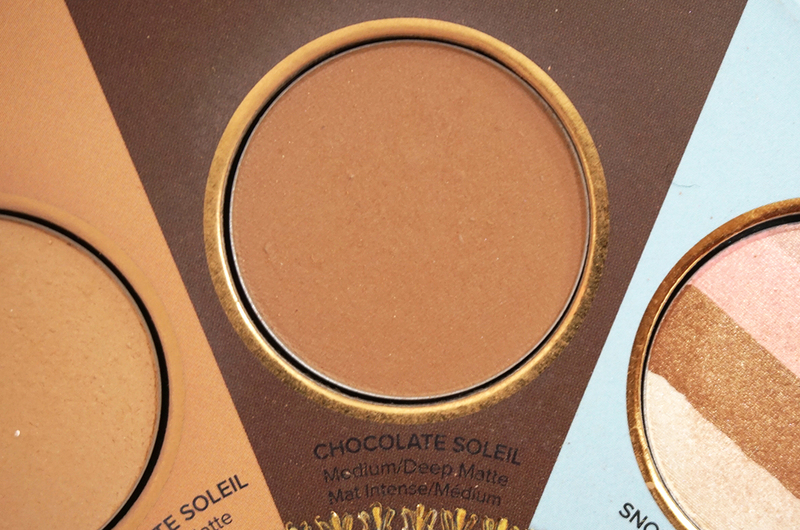 There had been times when the chocolate soleil bronzer looked way too dark on me. So whenever my skin is pale I'll use the Too Faced Chocolate Soliel Matte Bronzer in Milk Chocolate. The formula and pigmentation is just as good as the chocolate color. When I first purchased this palette I felt like it was a mistake because there were so many shades that I probably wasn't going to use. Why did I get the palette? Honestly, I don't know. 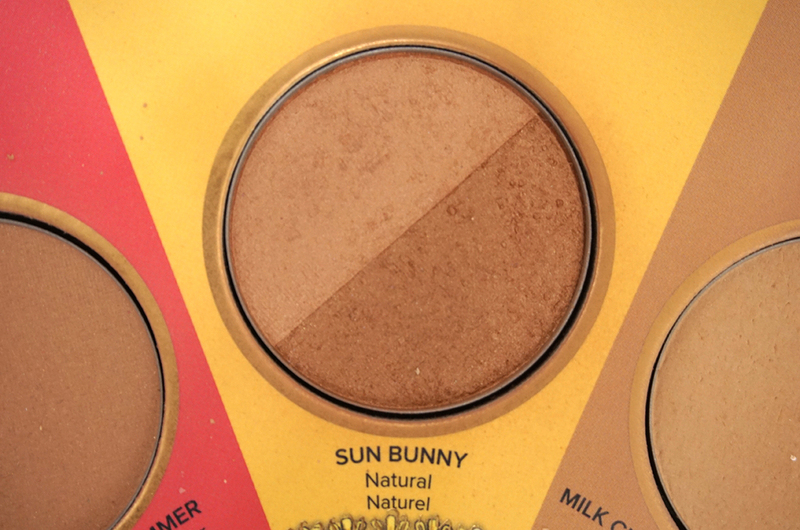 But after trying Sun Bunny Natural Bronzer it was so worth it! It isn't too shimmery but I like how glowy it makes me look, it's very natural looking and I think it would look really good during the warmer months. 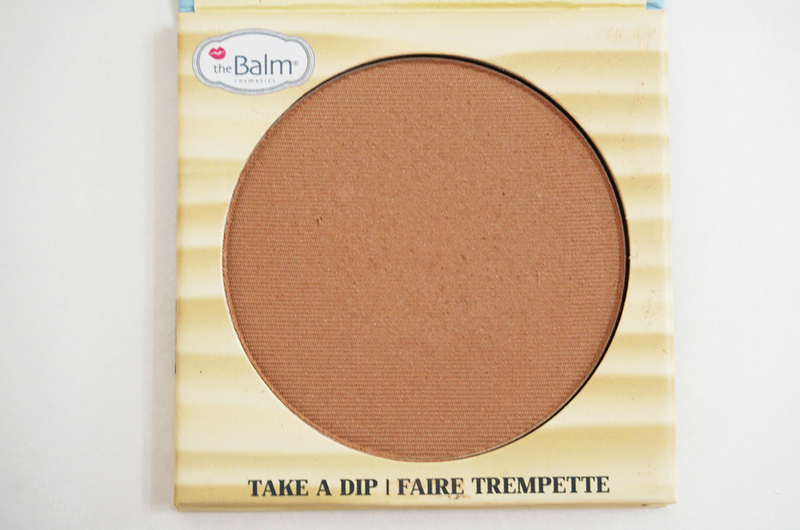 I haven't tried many theBalm products until around January, let me just say that I'm really impressed by this bronzer. This is the Desert Bronzer Blush, at first it looked really muddy on me but I realized that it was because I applied it all wrong. The first time I applied this I used a really dense brush and dipped it into the product multiple times which was a huge mistake. Now I'll use a fluffier brush and dip it in about two times then when I apply it onto my face I'll press it towards my temples then blend it out. It gives me a really beautiful bronzed face, I also like using this as a blush at times. 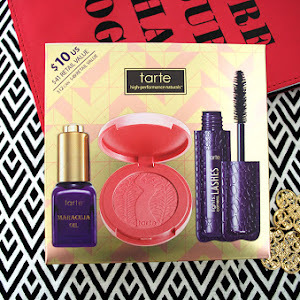 When this first launched I didn't even want it because I wasn't a huge bronzer fan. 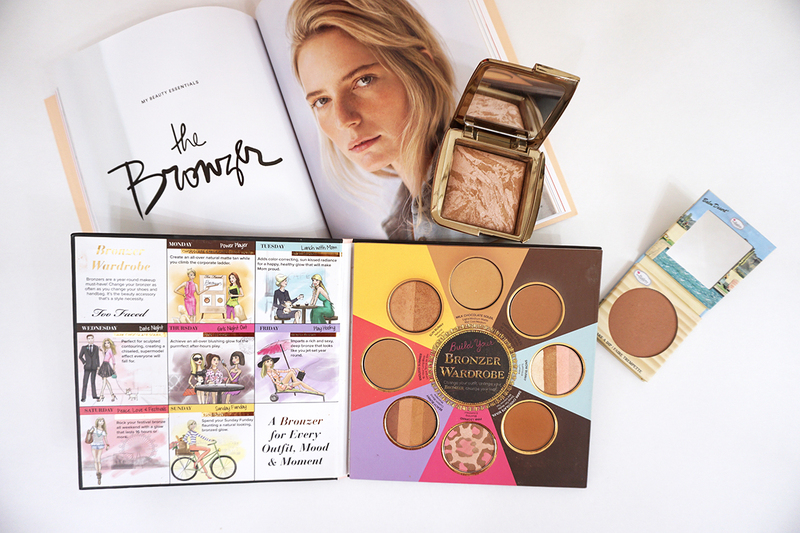 But after I purchased the Too Faced Bronzer book I became obsessed with bronzing. 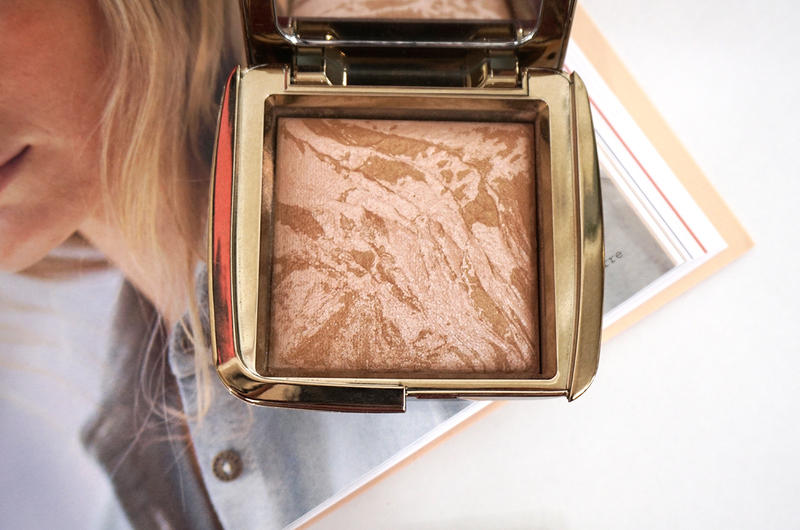 This is the Hourglass Ambient Bronzer in Luminous Bronze Light, if you were to ask me to describe this bronzer with one word it would be magic. Yes, magic. I don't know what it is about this bronzer that makes my skin look so healthy and glowy. Whenever I wear this it makes me feel confident and beautiful.